Vaporesso Ceramic CCELL Replacement Coil, which comes with creatively heating component and special structure, will deliver pure flavor to you. Just get it as your spare part. • Quick link: Vaporesso ORC Tank Atomizer. The parcel is lost during shipping, and the seller was so kind and always available that sent me a second package, unfortunately it can happen that go lost something along the shipment, but was kind enough to send another… Always has responded to my messages… A customer account for anything!!! Recommend to everyone!! Vaporesso Ceramic CCELL Replacement Coil is a Ceramic cCELL Coil replacement Tank. 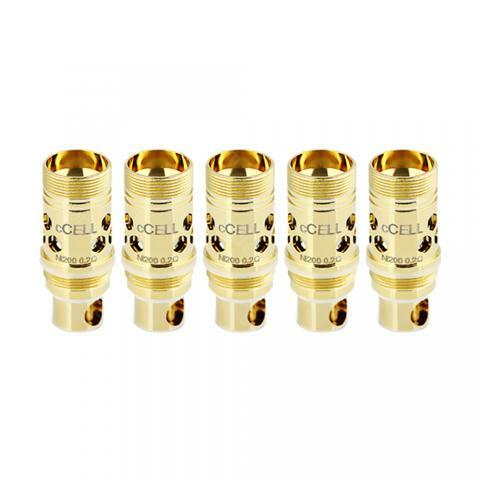 Vaporesso Ceramic cCELL Replacement Coils SS316 0.5ohm 0.6ohm for Target Tank 5PCS PACK. Has a 5pieces per pack. these are really great coils and they're all I used. I own three vaporesso Target Pro kits because I like these coils so much. The only issue I have, is they don't hold up as good with thicker juices such as tobacco and dessert flavors, as they do with not so thick juices like fruit flavors.